I spent years searching for my purpose, hoping for a clue and hoping that it would suddenly fix my life. It’s not until I finally got the BRAVE to walk my path that it got clear. I’m in meditation and I’m being asked, “why am I here?” And the answer came so clearly, so powerfully that I couldn’t help myself – I stood up and declared it to the whole workshop (I was supposed to be quiet and just follow along). I was shocked by how simple it was and by the fact that I’d known it all along. Since then I’ve worked with a Lot of spiritual entrepreneurs and I’ve realized that they too have all known their purpose, but that they didn’t thought they didn’t. So today I wanted to shed some light as to what is actually going on. My intention is to help you get clear on your purpose and really take that next step on your journey. 1) You discount it like that can’t be it. So the other day I’m a in a healing session and my client said that his purpose is to help other people love themselves. He knew it all along, but it just didn’t trust yourself to really acknowledge it and because he was afraid of what it would mean if he actually did. 2) You don’t know “how”. The truth is that this is where 98% of people get hung up. It’s like you somehow thing that you can play only one note of a guitar when you in fact have the whole guitar and an infinite amount of ways to create melodies & music of your heart. The real culprit here is FEAR. It’s what keeps you procrastinating and event saying, “I can’t do that.” It’s sneaky too because FEAR will hide behind emotional reasoning. Listen, you don’t have to quit your job. You don’t have to start a business. You don’t even have to become a healer or a coach. You could do your life’s work in a corporate job. You have the power to choose the “how” (that’s FREE will) and it will feel good to you. The secret here here to focus on the next step. If you were living with purpose today, what would you be doing? What would you be saying? Doing? Then go out and be that person today. You might be surprised what happens when you do. If you’re feeling inspired, I invite you to join me for my latest master class, ” 5-Steps To Finding Your Passion & Confidence So You Can Live With Passion & Create A LIFE You LOVE” if you haven’t already. 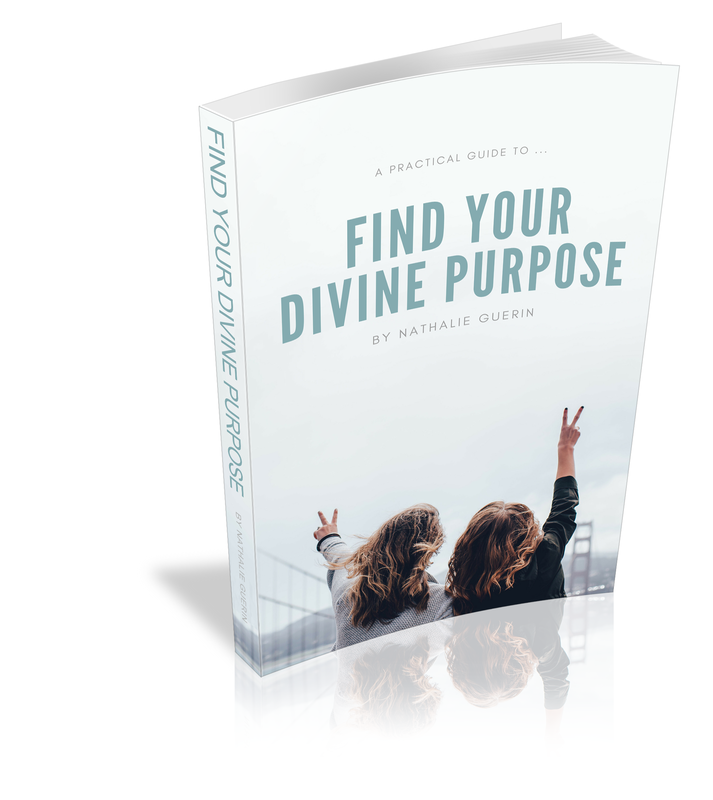 Have a question about living your purpose? Hit reply and let me know. http://nathalieguerin.com/wp-content/uploads/2018/11/logo-black-watercolor-belini-300x194.png 0 0 nathalieg http://nathalieguerin.com/wp-content/uploads/2018/11/logo-black-watercolor-belini-300x194.png nathalieg2018-03-27 17:32:212018-03-27 17:33:00Want to know your purpose?